“That rock ‘n’ roll, eh? That rock ‘n’ roll, it just won’t go away. It might hibernate from time to time, and sink back into the swamp. I think the cyclical nature of the universe in which it exists demands it adheres to some of its rules. But it’s always waiting there, just around the corner. Ready to make its way back through the sludge and smash through the glass ceiling, looking better than ever. Yeah, that rock ‘n’ roll, it seems like it’s faded away sometimes, but it will never die. And there’s nothing you can do about it,” Alex Turner infamously said in his acceptance speech at the Brit Awards back in 2014. 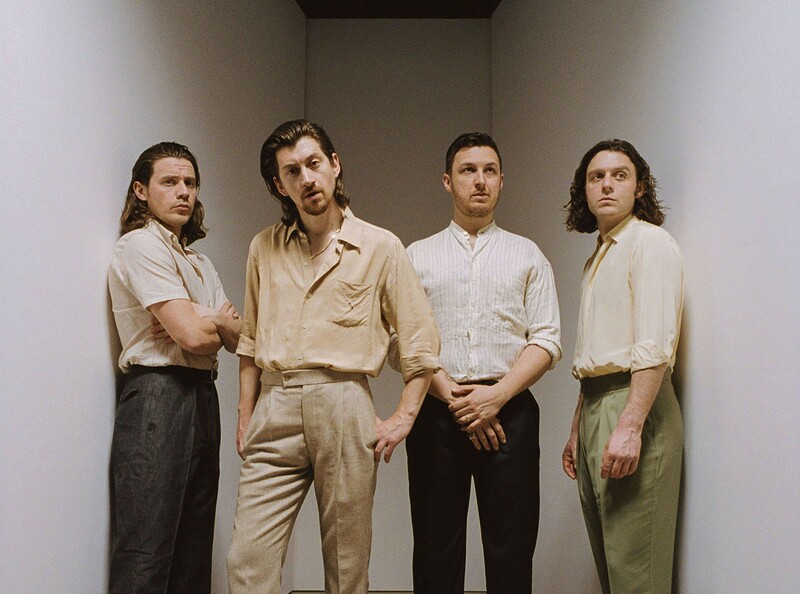 Arctic Monkey’s released their 6th album, ‘Tranquillity Base Hotel and Casino’, a change of pace for the Sheffield lads that was not welcomed warmly by a great deal of their fans. With the new album came the ditching of the leather jackets and slicked back hair for a more polished look. Come their Live 2019 Tour to Australia and one thing remains true; rock n roll will never die and Arctic Monkeys are rock ‘n’ rollers through and through. With the stage set up to recreate the fictional planetary hotel from the concept album and a hexagon lighting rig hanging above the foursome plus their 3 touring musicians was used to indicate which songs were from TBHAC, the stage looked more full and bigger than ever. They opened on ‘Four out of Five’, a nice ease into a monster set. ‘Brainstorm’ hit the audience like a tonne of brick-unexpected and full of power for so early in the set. ‘Snap Out Of It’ and ‘Crying Lightening’ were welcome additions to the set list, as were rock anthem ‘Arabella’ and ‘Library Pictures’. For diehard fans of their debut album ‘Whatever People Say I Am, That’s What I’m Not’, ‘Dancing Shoes’ was only one of two songs that made the cut, naturally with “A song from 2005” closing out the main set; ‘I Bet You Look Good On The Dancefloor’. ‘Science Fiction’, ‘Tranquillity Base Hotel and Casino’, and ‘One Point Perspective’ were a true showcase of the bands progress and worked in well amongst the earlier Monkeys ditties. Normally ‘505’ is a stand out for me with its gradual builds and electrifying finish but on this occasion it did not even fall into my top 3 songs of the night. ‘Teddy Picker’ was boppy and fresh, ‘Cornerstone’ was a memorable moment as the phone lights lit the stadium and a swoon-worthy Turner played into the cameras, and ‘Do I Wanna Know?’ was the crowd favourite. ‘Pretty Visitors’ was a surprising addition to the set list but it was absolutely worthy- a forgotten track that is now at the forefront of my mind. The Sheffield lads closed out the evening with a tender encore of ‘Star Treatment’, ‘No. 1 Party Anthem’ and ‘R U Mine?’, reiterating Arctic Monkeys star status. Unfortunately ‘Florescent Adolescent’ and ‘When The Sun Goes Down’ didn’t make the set list cut and were sorely missed by diehard fans but all in all, Arctic Monkeys gave a five out of five performance and made note that their rock n roll image is still intact.